We were in the area to see friends and need a quick stop for a bite. 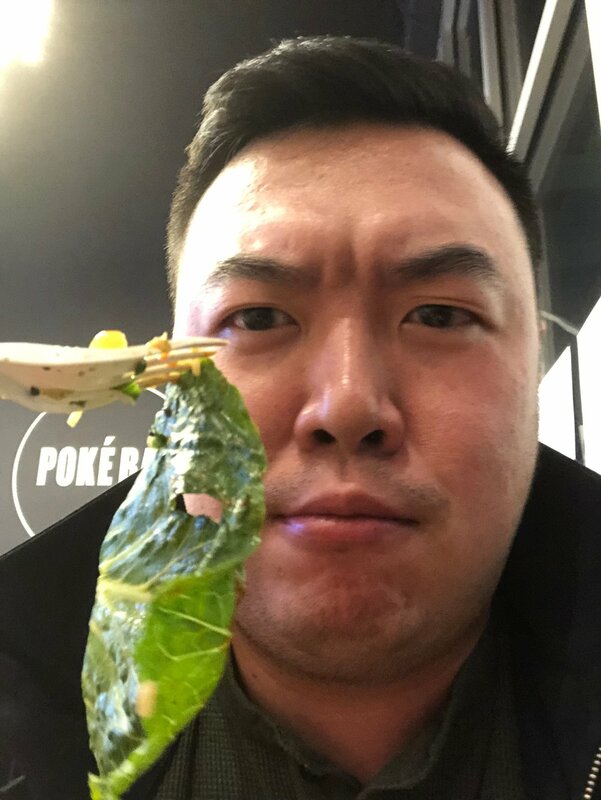 Poke seems to always be high on our list so we decided to try out Poke Bar. It’s a franchise found all over North America so I figured they have certain standards they follow. I built my own poke bowl and it was nice to see that ahi tuna is not an extra charge like it is in Vancouver. They have a nice selection of seafood, sides, and sauces to choose from. But when it came to the taste, I have to say I felt overwhelmed compared to places like Hoke Poke or Steve’s Poke Bar. Not only that, someone definitely did not concentrate on tearing out the lettuce that day (see pic below). The poke competition is fierce just like the ramen businesses, therefore the quality of the food must be up there to survive. It was great to try but we probably won’t return.